Cover of promotional book for Hatari (1962). part three of promotional book for Hatari (1962). part two of promotional book for Hatari (1962). part nine of promotional book for Hatari (1962). part ten of promotional book for Hatari (1962). part eleven, end of promotional book for Hatari (1962). part eight of promotional book for Hatari (1962). 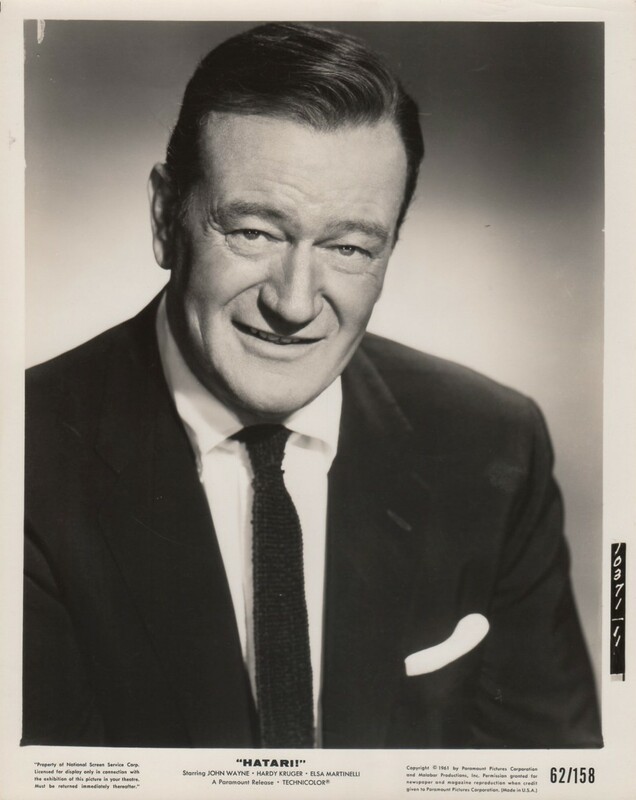 John Wayne in an original publicity still for Hatari (1962). John Wayne ropes a wild giraffe for transport to one of the world’s zoos in a publicity still for Hatari (1962). John Wayne grabs hold of a tree monkey, one of the many critters in Hatari (1962). 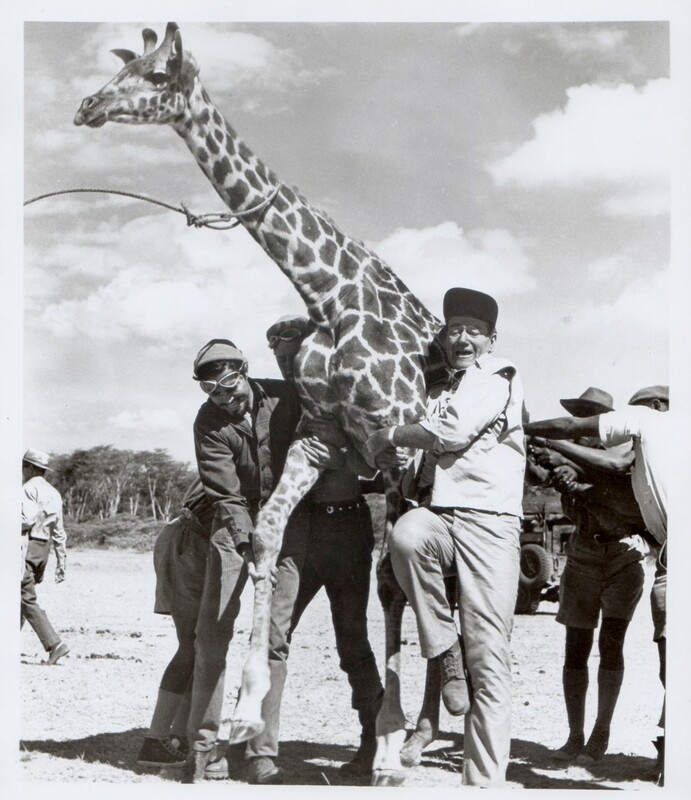 John Wayne tries to get control of a wild giraffe in a scene from Hatari (1962).